Admit it! You often forget to brush your teeth before going to bed. It happens. You’ve had a packed day, and now you are so exhausted that all you want to do is go to sleep in your bed. Don’t do that. Don’t fall asleep without brushing your teeth because that will open the doors to bacterial buildup in the form of plaque. Plaque is a colorless, tacky film that can stick to your teeth and cause cavities, gum diseases, and other health problems. Long-term gum infection can ultimately result in the loss of your teeth. However, the dire consequences don’t end here. Research suggests that poor oral hygiene can lead to severe health problems, including diabetes, cardiovascular diseases, preterm labor and digestion problems. More than 400 species of bacteria are growing inside your mouth at any instant of time. Good oral hygiene is all you need to keep your gums, teeth, and mouth healthy. Take time to be proactive about your oral health. Not only the effort will pay off with a lovely smile, it will also benefit your overall health by improving nourishment and decreasing risks for the other diseases. Brush twice a day to remove plaque and food particles. Floss daily to remove bacteria from places your toothbrush can’t reach. Follow a diet plan that includes necessary vitamins and nutrients. Avoid smokeless tobacco and cigarettes to prevent oral cancer and gum disease. Regularly visit your dentist in Carindale for dental tests and cleanings. Good dental hygiene can help prevent gum diseases, tooth decay, and bad breath. It can also help your teeth stick around in your mouth as you get older. Besides daily care, good oral hygiene includes regular visits to a reputable dental clinic in Carindale. Not only does it help to keep your smile beautiful, but also warns you of potential risks for chronic diseases. Your Carindale dentist can also find any underlying problems and treat them before they become complicated. Make sure you schedule regular dental visits every six months. Increase the frequency if you notice any wear, discoloration, swelling or sores. Great dental care starts at a young age and lasts all through your life. When finding the right dentist in Indooroopilly, you want to select the one who combines experience and knowledge with one-on-one care and attention for your family. 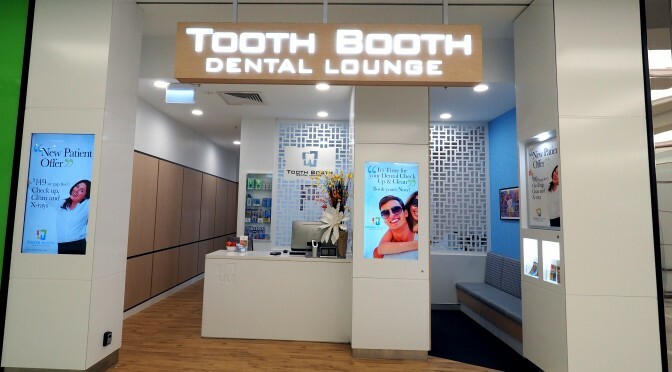 Conveniently located in Westfield Chermside, Carindale, and Indooroopilly Shopping Centre, The Tooth Booth Dental Lounge aims to help patients maintain their healthy smiles. From root canal therapies and wisdom teeth extractions to implants and cosmetic dentistry, we are capable of meeting your family’s all dental needs. Call us today to make an appointment!